Student Residency Fraud – Stealth Investigative Agency, Inc.
On a chilly spring morning, Zainab Al-Shammary sits in the passenger seat of her car — almost a football field’s length from a townhome in Prince George’s County, Maryland. Anyone who glanced at her would assume she’s waiting for a friend. But Zainab has carefully parked her car facing away from the townhome, and she keeps an eye on the house through her rearview mirror. A woman and her preschool-aged son emerge from the townhome, and Zainab swivels into action. She steadies her camera with its 300mm lens on the car seat and holds down the automatic shutter to take a series of photos of the child and her mother as they get into their car and drive off to school. Zainab is a private investigator, but she’s not investigating a child custody matter. As team lead for residency fraud investigations at my firm, she’s working under a contract we have with the District of Columbia Office of the State Superintendent of Education (OSSE). Residency fraud occurs when parents who reside outside of a school jurisdiction lie about their residency on enrollment forms so their children may attend public charter schools in jurisdictions where they don’t reside. One parent of a D.C. preschooler who testified via email at a 2011 D.C. council hearing complained that her daughter’s spots on the waiting lists for three of their preferred schools ranged from 200 to 400. (See Council of the District of Columbia Committee of the Whole, Committee Report, December 20, 2011.) This makes some of the District’s public charter schools about as competitive as an Ivy League university. Although this problem exists in many school jurisdictions throughout the U.S., it’s a particularly serious problem in the District, which encompasses less than 70 square miles sandwiched between Virginia and Maryland. Parents who commute from these states into the city will sometimes use the D.C. addresses of relatives or friends to falsely claim residency. This enables them to take advantage of the District’s highly desirable public charter school programs — including free, full-day preschool and pre-kindergarten programs — all while not paying D.C. taxes. In other words, these parents are getting a free, high-quality education for their children at the expense of D.C. taxpayers. It’s difficult to find a reliable estimate of the cost of residency fraud. But considering that the District has close to 35,000 public charter school students and that annual tuition costs can be as high as $15,000 per student, even if only 1 percent of these students are nonresidents, the impact of the fraud on D.C. taxpayers would be more than $5 million a year. Disgruntled D.C. residents at the 2011 council hearing reported lines of vehicles with out-of-town license plates in the student drop-off and pick-up zones of various public charter schools. 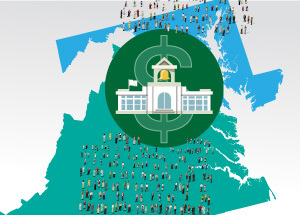 One frustrated parent wrote, “Many [parents] reported on the traffic jams in the morning around several schools, with parents in cars with Maryland tags.” Such testimony suggests that the number of nonresidents committing fraud could be far higher than 1 percent. Although OSSE has struggled with the best way to investigate reports of residency fraud since the passage of the RFPA, it ultimately settled on outsourcing the toughest cases to private investigators. The largest challenge we faced when we began working on these cases in 2012 (at that time for the D.C. Public Charter School Board) was how to prove residency. While various information sources, such as investigative databases and motor vehicle records, can suggest someone is living somewhere, the only way to really prove it is through observation. There are also exceedingly challenging tactical issues — which anyone familiar with doing surveillance would recognize — but these challenges are enhanced when it comes to doing surveillance on children. For example, during the colder months when it’s darker in the mornings it can be very difficult to get identifiable photographs of children because they often wear coats with hoods. Our firm often uses video with night vision in colder months, and we use software that enhances facial features. Also, we use a still camera with a massive telephoto lens in the warmer months, which allows us to stay at a considerably greater distance from the subjects than when we’re using video. We begin all cases by researching the student’s guardian using investigative databases, property records, motor vehicle records and social media. Once we’ve made a circumstantial case that the parent or guardian is likely living outside of the District, Zainab and her team conduct surveillance at the guardian’s likely residence in the morning, capturing images of the student and his or her guardian coming out of their Maryland or Virginia home. We then identify the photographs through a source at the appropriate Local Education Agency (LEA). Assuming the LEA confirms the student’s identity, Zainab prepares a report thoroughly documenting her team’s investigation, and OSSE decides its next steps based on our investigation results. It has the option of referring offenders to the D.C. Office of the Attorney General if it believes the case warrants criminal prosecution. Like many other types of investigations, working to combat residency fraud can be a grueling and thankless job. Zainab usually awakes as early as 4 a.m. to be in place before students leave home for school, and she can keep late nights researching and writing reports on complicated cases. After we send an investigative report to OSSE, we generally don’t learn its outcome. Meanwhile, the cases never seem to end; a constant stream of non-residents are illegally enrolling their kids into D.C. public charter schools. So, residency fraud is similar to other types of fraud, in which fraudsters change their lives to break laws. Putting a crimp in those lifestyles requires problem solving and vigilance. A female investigator with a telephoto lens helps, too. Philip A. Becnel IV, CFE, is managing partner of Dinolt Becnel & Wells Investigative Group LLC, in Arlington, Virginia. All The Signs Your Spouse Is Cheating.